Do you like chocolate mousse? Baby Lady says everybody likes chocolate mousse. It’s a light, airy, chocolatey dessert. Wonderful stuff, right? Even when you’ve eaten a large meal and don’t think you can eat any more, there is always a little room left for chocolate mousse. But how is a decadent dessert like chocolate mousse healthy and when is the last time you found a simple recipe for chocolate mousse? Chocolate mousse may be Baby Lady’s favorite dessert and I make a pretty darn good chocolate mousse. It’s full of heavy cream, whipped to soft peaks, into which melted bittersweet chocolate and Meyer’s dark rum is folded and finished with egg whites beaten to stiff peaks folded into it. You pipe it into champagne flutes or parfait glasses and place it in the refrigerator for 24 hours to set up. 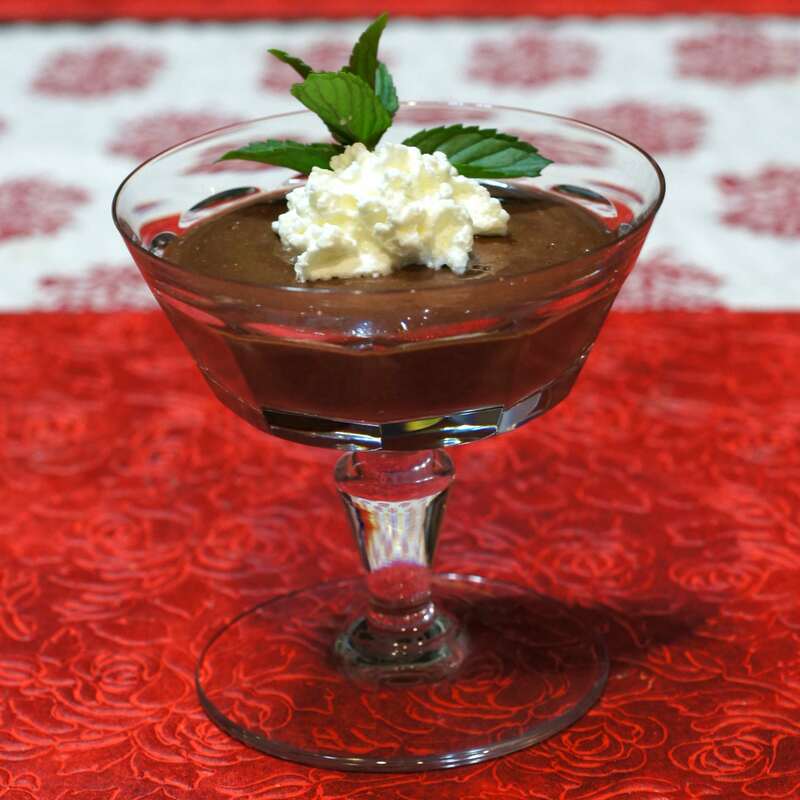 It’s a luxurious, dark chocolate mousse and a perfect ending to a fabulous meal. I used to make this 3 times a week back when I was running restaurants and it was immensely popular. Dinner guests would rave about how good this was. I haven’t fixed it in at least 25 years and Baby Lady has never tried it. 😮 It’s time consuming, makes a mess, is packed in fats and calories, and I really don’t eat a lot of desserts. Neither does Baby Lady and, despite both of us getting older and struggling with weight gain, we try to eat somewhat smart and healthy. Baby Lady, however, loves chocolate mousse. One day several years ago, we were watching TV when Ellie Krieger came on. Now, Baby Lady is a big fan of Ellie Krieger. Me, not so much. Nevertheless, Baby Lady likes Ellie Krieger’s style. She likes her food. She likes tasty food that is “healthy.” Baby Lady also likes tofu and Ellie Krieger has several approaches to tofu. 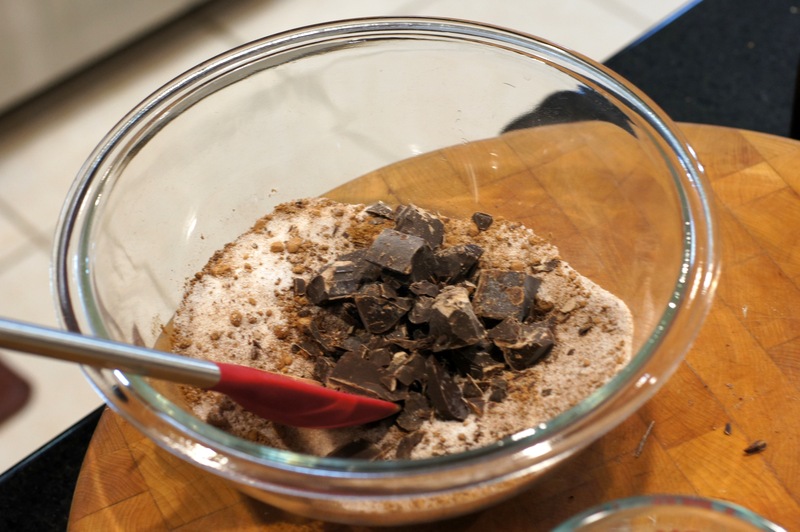 It was while watching Ellie Krieger’s TV show this one day several years ago that she did a chocolate mousse recipe that was quick and easy, a whole lot quicker and easier than mine. It immediately caught Baby Lady’s eye. Later on that week, Baby Lady tried it. She has been working with it ever since tweaking this and that. It’s amazingly good, smooth and creamy, full of flavor and sets up nicely. 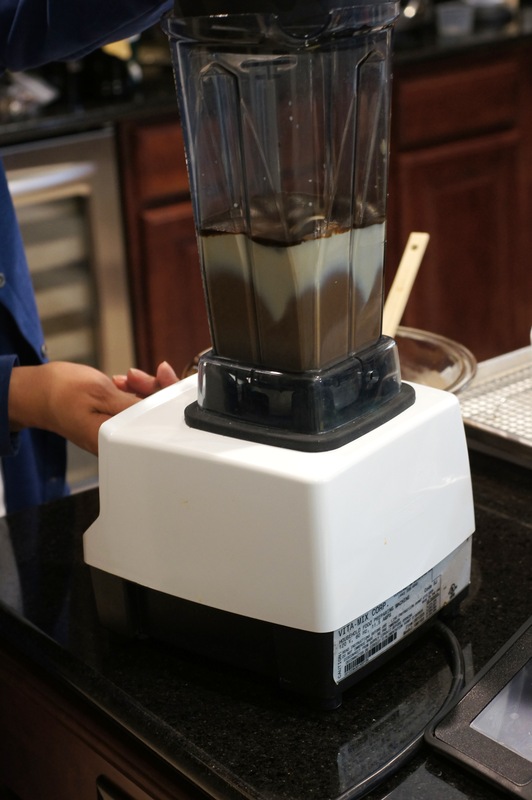 It takes less than 30 minutes to make, doesn’t create a mess, sets up almost immediately and is ready to serve in an hour. We serve this to guests all of the time and they love it but we hardly ever tell anyone the recipe. Do you tofu? If you ever try this recipe you will. You will also gain a new appreciation for tofu. Just don’t tell your guests the secret ingredient in this chocolate mousse is tofu, at least not until they have finished all of it. 😮 Here is what Baby Lady does. 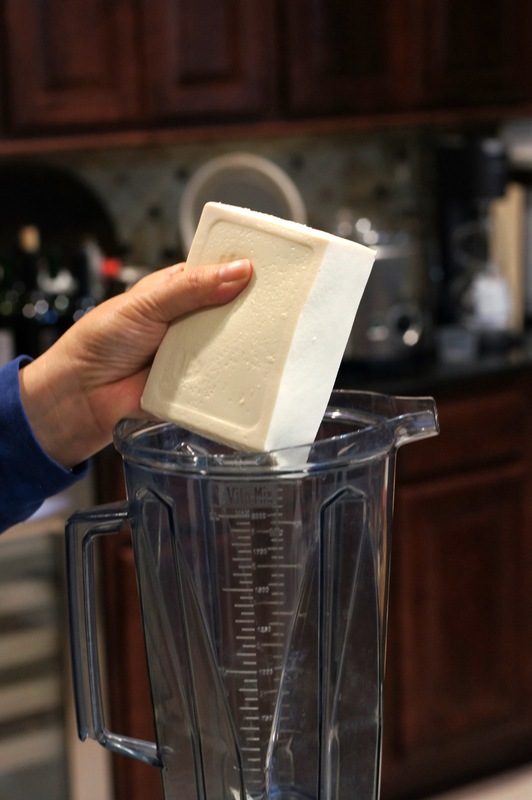 Puree the tofu until it is smooth. 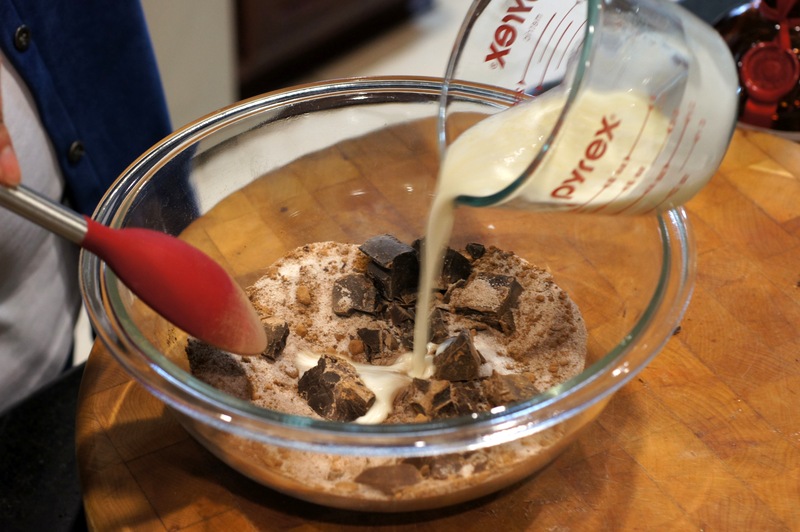 Put the chocolate, cocoa powder, coffee and cinnamon in a Pyrex bowl. 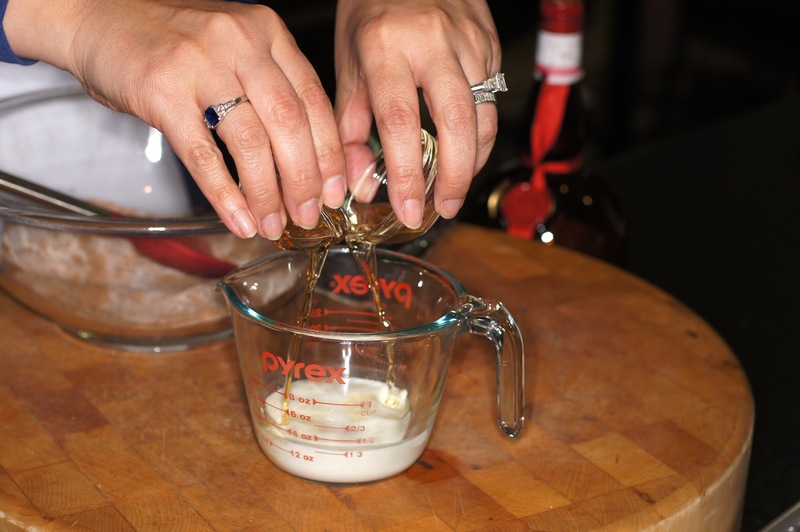 Combine cream, vanilla and grand Marnier. Place over a pot of simmering water. 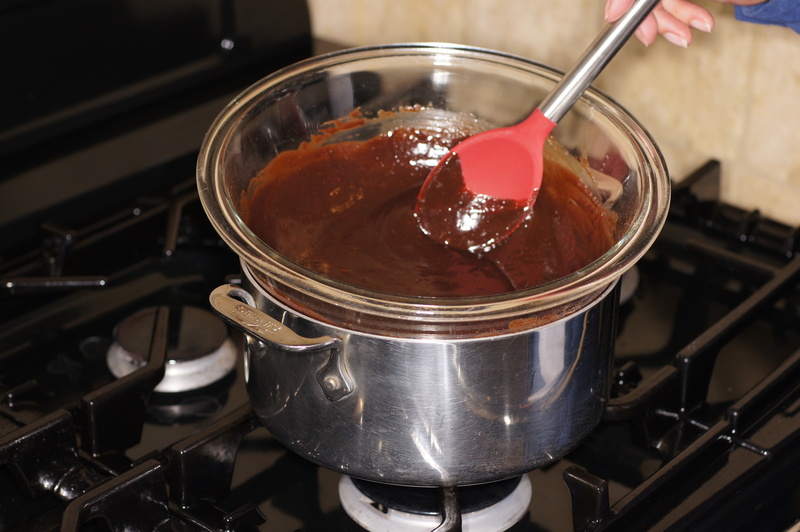 Stir frequently, until all the ingredients have combined, the chocolate is melted and smooth. 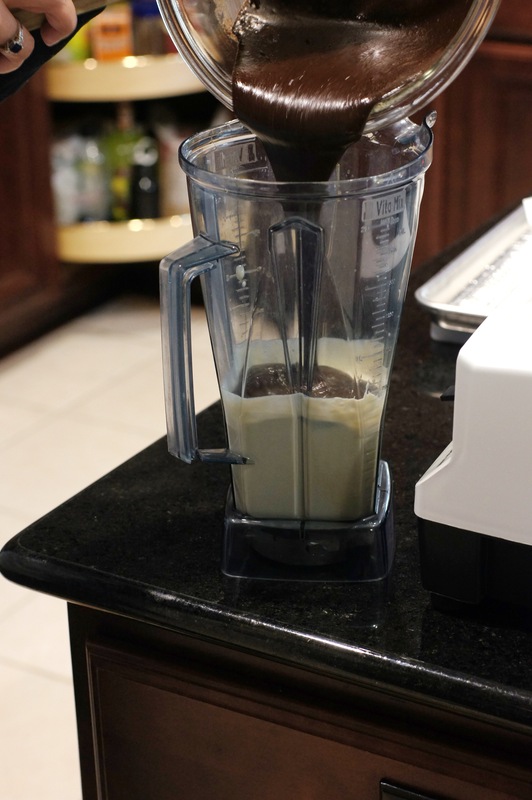 Puree until smooth and well blended. 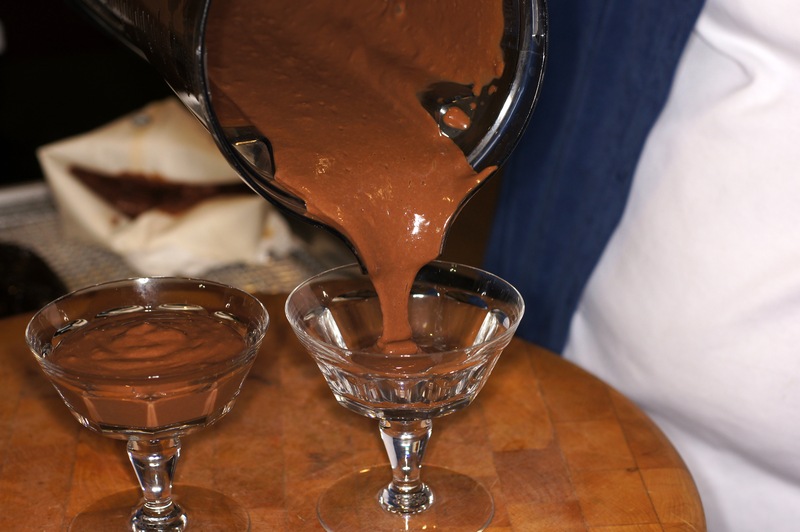 Pour the mousse into serving dishes, cover and refrigerate for at least 1 hour. To serve, add a dollop of whipped cream, a sprig of fresh mint and enjoy. NOTES: Coming next, as promised, a dessert chile relleno using this wonderful chocolate mousse – Cinnamon Candied Chile Relleno with Red Wine Chocolate Sauce. Yum, this looks to die for! Last time I tofued I made a chili beef and tofu oriental thing. It was delicious. The ingredients seems weird but it looks excellent. I did notice her too. She looks well settled. Wife and I had a good chuckle. Hi, Conor. Silken tofu makes wonderful desserts, like this one. Baby Lady & I like tofu because it is so adaptable. 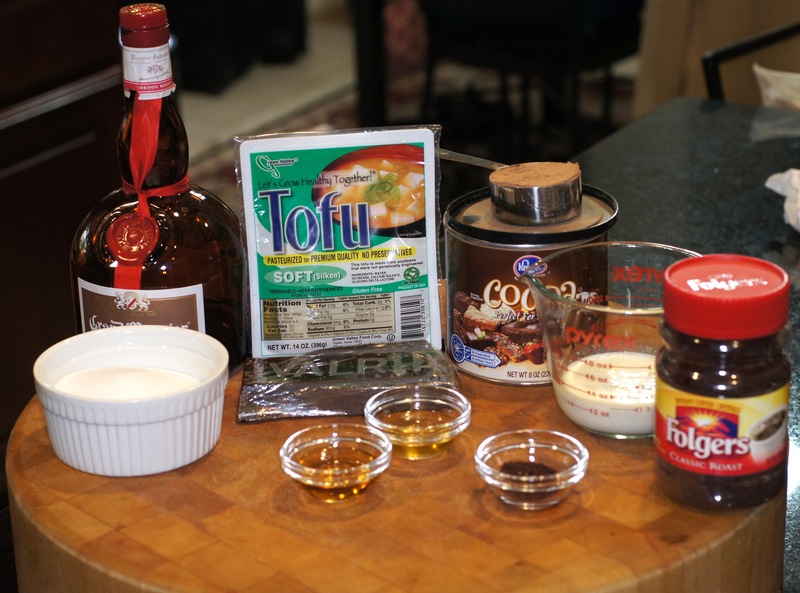 The firm tofu is great for stir fries and more “meaty” applications. Medium tofu is good for soups, stews, meat loafs, veggie burgers, etc. The silken is wonderful in either sweet or savory custard-like applications. The only way you know this dessert has tofu is because you made the dish. You will not taste any hint of the tofu. Throw the bum out! He has had his day in the sun. Time for Hetty to shine. I haven’t much experience with tofu either, Richard, and certainly not in desserts. Still, I can see where blending it would add creaminess to your mousse. Ready in 30 minutes? Maybe it’s time I tofu. 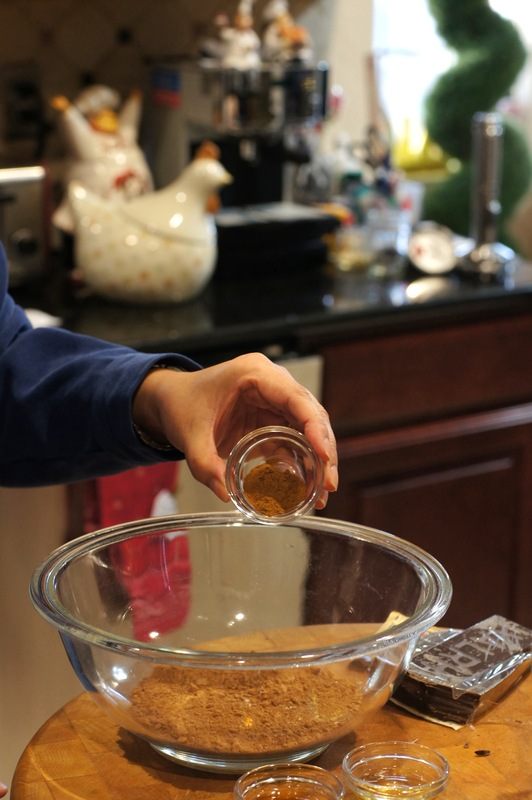 Be sure to thank Baby Lady for sharing her recipe with us. Thanks, John. Baby Lady loves to share her recipes and this one is really killer. Quick, simple and delicious. You just can’t beat it. Hi, Stefan. Not everyone likes tofu and we understand it. Nonetheless, we serve this chocolate mousse to our dinner guests all of the time and they rave about it. Of course, we never tell them it has tofu. 😮 Many of them would never eat it again if they knew. We are both pretty rational when it comes to food (when it comes to most things, actually), so when the chocolate mousse doesn’t taste like tofu (which according to us has no taste) it is not a problem. btw, u used silken tofu pudding (packed in a sweet liquid) or regular silken tofu? Thanks for dropping by and your comment. 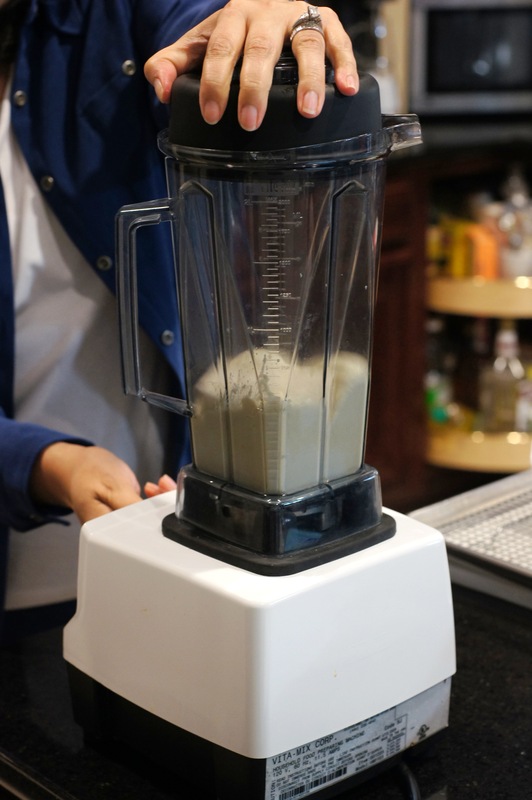 We use regular silken tofu because sugar is added. I have never tofued but your dessert has to be good if it replaced the one you made for years. I’ll look forward to that although this version sounds delicious. Wow! Tofu and chocolate! Who’d have thought! You’ll have to tell baby lady that this recipe is a revelation for me. I’ve often toyed with the idea of a avocado chocolate mousse, but something tells me that the tofu would be far creamier and (somehow) more familiar. I think I’d love to have a play and see if I can veganize this one for a good friend. Great ideas! Thanks, Alice, for your very nice compliment. 🙂 Baby Lady says she uses the cream for added richness but that you can substitute water.